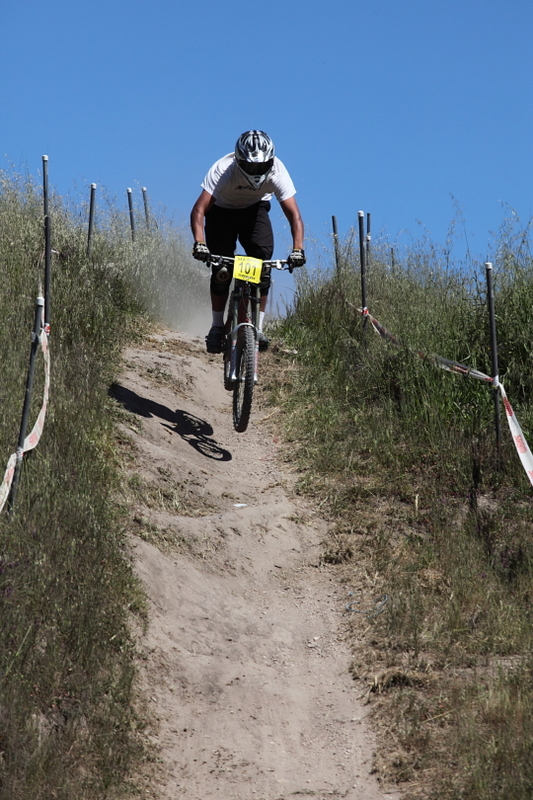 This week’s photo is a shot that Bryan took at the Sea Otter Classic. The photo shows a Downhill competitor in mid-air speeding down the hill. I really like that Bryan caught the exact moment where the cyclist jumped. Also I love the leading lines, he did a great job on the composition. This is one of thousands of photos we took at the Sea Otter Classic so check back soon to see our gallery of photos of the entire event. Photo Info: Taken with the 5D Mark II with 70-200mm F4L lens. ISO 400, F8 at 1/2000 of a second.